A writer by profession, Windsor Square resident Paula Panich is also a passionate gardener. At “Shedding Light on Your Photography: A Writing/Communication Workshop for Photographers,” Panich will discuss the precision required to write a caption, an extended caption, a biography and press release. The introductory, but hands-on workshop, at 301 N. Baldwin Ave., Arcadia, on Sun., Sept. 14 from 10 a.m. to 1 p.m., is for photographers who are called upon to make more than images. 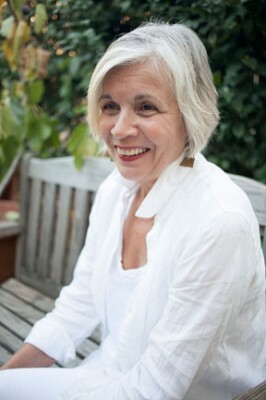 “No matter the focus of your work, be it landscape, plants, gardens, architecture, food, or even portraits, streetscapes, industrial environments, or situations of social/political import, you need to explain your work for grants, exhibitions, websites, blogs catalogues, captions, articles, press releases and essays,” said Panich. She will show students how to uncover the essential ideas of their general work or a specific project, describe its content and then translate it into coherent and precise language. “How you present yourself and your work in language is critical to your success,” she added. The workshop fee is $100 for Arboretum members; $125 for non-members (includes admission). To register, call 626-821-4623.